E-cigarettes are continuously touted as safer and much healthier alternatives to regular cigarettes. Furthermore, unlike conventional cigarettes, they also come in a variety of different flavors. 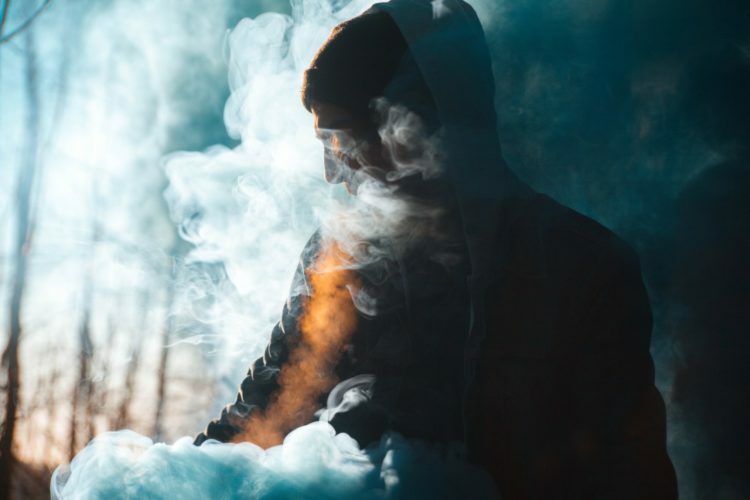 Unfortunately, this aspect has made vaping much more appealing to a younger market – so appealing that the FDA has officially declared teen vaping as an epidemic. As of 2009, the FDA was given authority over cigarettes and smokeless tobacco by the Tobacco Control Act and in 2016, the FDA officially recognized products like e-cigarettes as part of their jurisdiction. Moreover, this past year- following the inauguration of Scott Gottlieb as commissioner- the FDA announced a new framework with hopes of reducing the levels of nicotine in traditional cigarettes to non-addictive levels. In fact, they actually also credited e-cigarette use as a way to which conventional smokers could curb their their tobacco use. However, times have changed as this past Wednesday, Commissioner Gottlieb admitted that he could not have predicted the surge in e-cigarette use amongst teenagers. Not to mention that new studies continue to link flavors used in e-cigarettes to alarming health problems. As a result, the FDA, spear-headed by Gottlieb, is now coordinating a massive enforcement initiative against retailers that are possibly selling as well as marketing e-cigarettes to minors. With 12% of that number being high school students. Commissioner Gottlieb believes that this is a result of them being specifically targeted by vaping companies. While e-cigarettes were first marketed to adults to help them quit smoking, the introduction of different flavors has seemingly introduced teenagers to the art of smoking- be it electronic or not. In fact, aside from the flavors, companies have also marketed e-cigarettes as much ‘cooler’ than regular cigarettes. In the warning letters that the FDA sent to 1,300 companies, they threatened to heavily fine them if they chose to continuously market to a much younger audience. The letter also dictated to the companies that they had exactly 60 days to compile plans that would help to decrease the percentage of teenagers using their products- which is inclusive of cracking down on youth-targeted marketing campaigns as well as the illegal re-selling of their products to minors. If these plans do not prove their capability to curb teenage vaping use, the FDA is ready to consider steps that may result in the temporary or permanent removal of flavored e-cigarettes off the market. Thus the only only way vaping companies can stay in business (or return to the market if they happen to be banned) is by proving that the benefits to adults who use e-cigarettes to stop smoking outweigh the risks associated with youth vaping. One company in particular that that has been on the FDA’s radar is Juul– which, according to Bloomberg, has captured around 70% of the e-cigarette market. Their vaping product resembles a USB drive and this in fact makes it both more appealing and much easier to carry onto school premises. As a result of mounting criticism, the company has actually created initiatives that will focus on independent research, youth and parent education and community engagement. It’s also re-evaluated it’s social media marketing by only featuring adult smokers sharing their stories about switching to Juul and there are also plans to restrict the amount of advertising of flavors such as cotton candy and gummy bear. While Gottlieb acknowledges the impact that vaping has in curbing the amount of traditional cigarette users, he emphasizes that the safety and wellness of the youth needs to come first, “We won’t allow the current trends in youth access and use to continue, even if it means putting limits in place that reduce adult uptake of these products”.